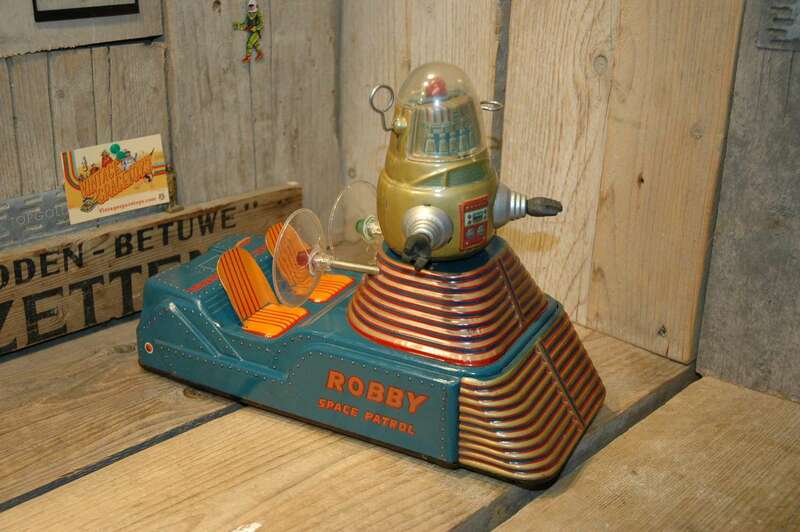 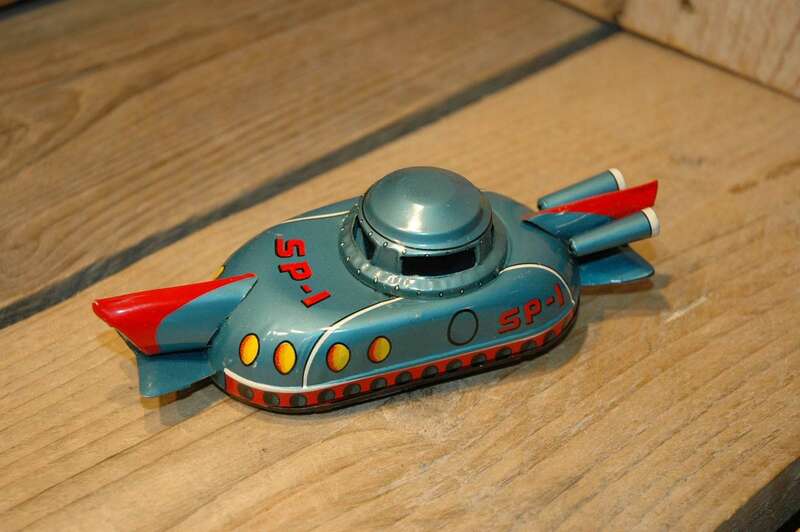 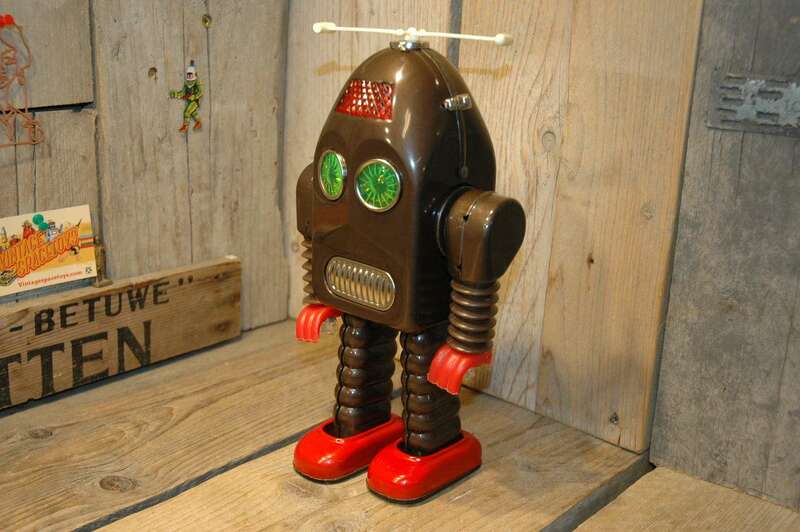 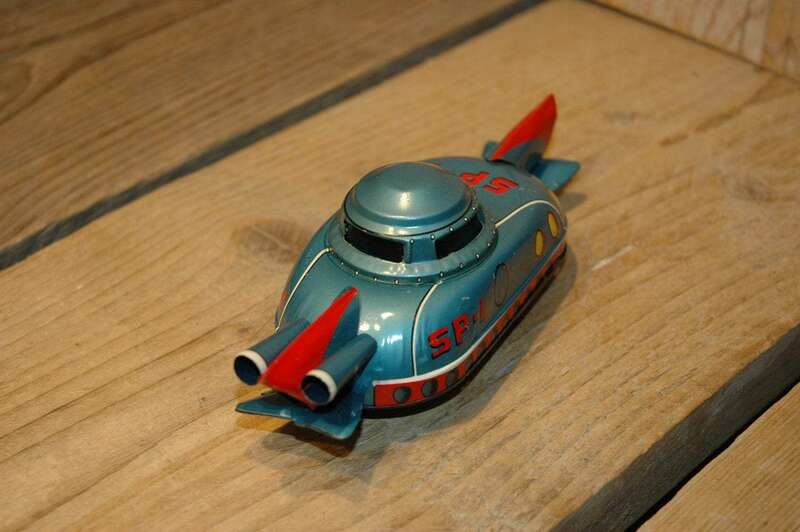 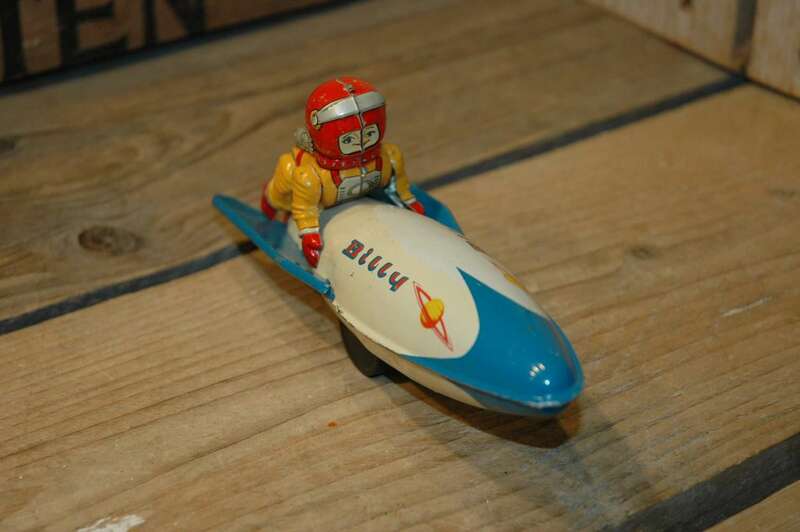 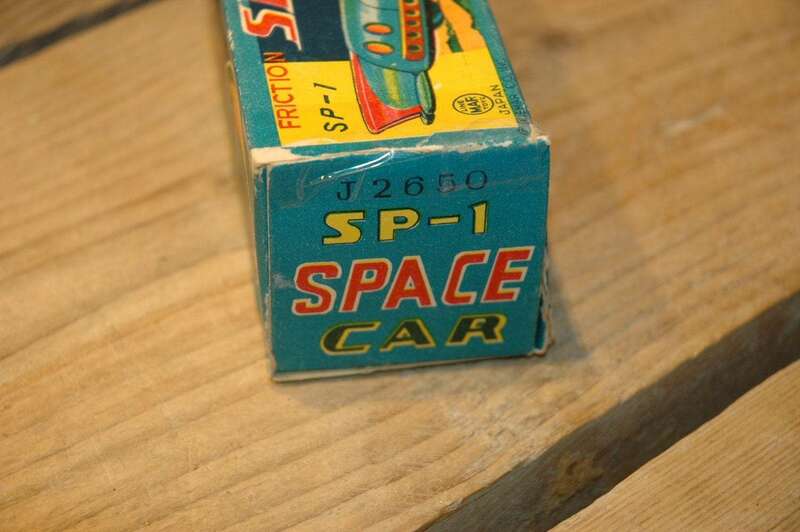 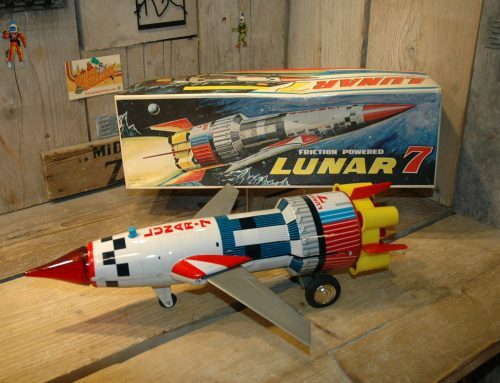 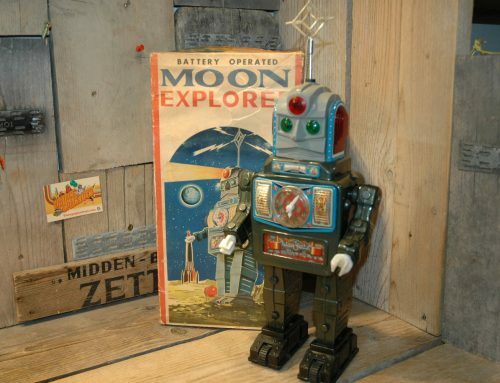 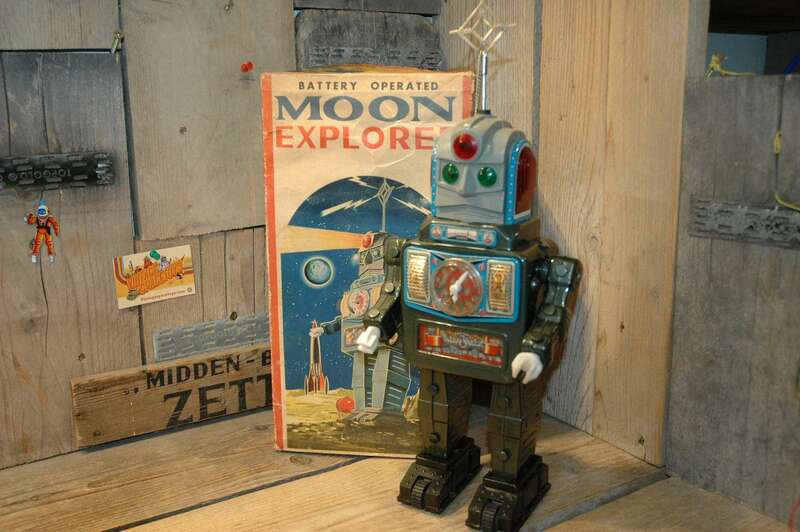 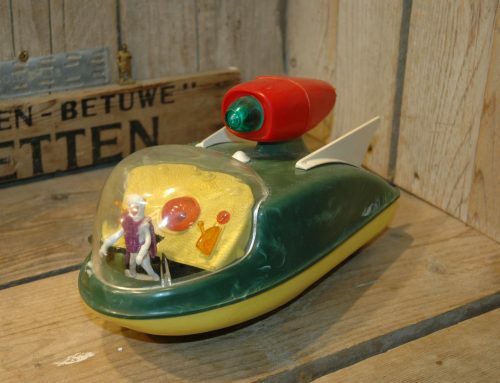 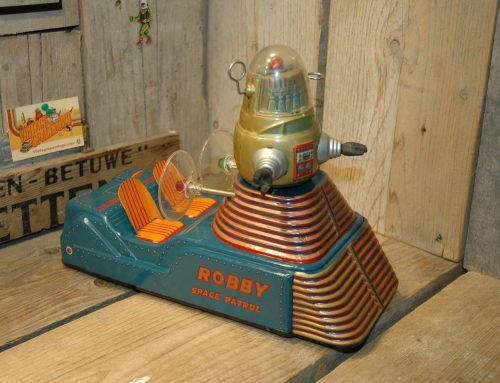 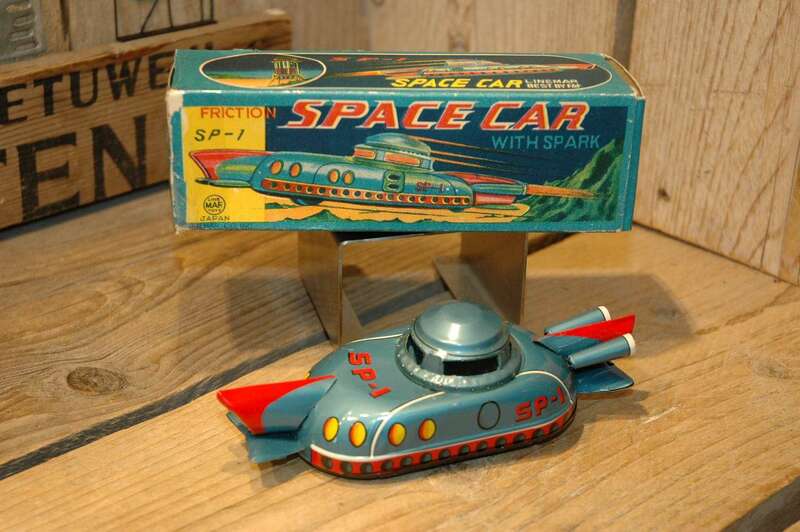 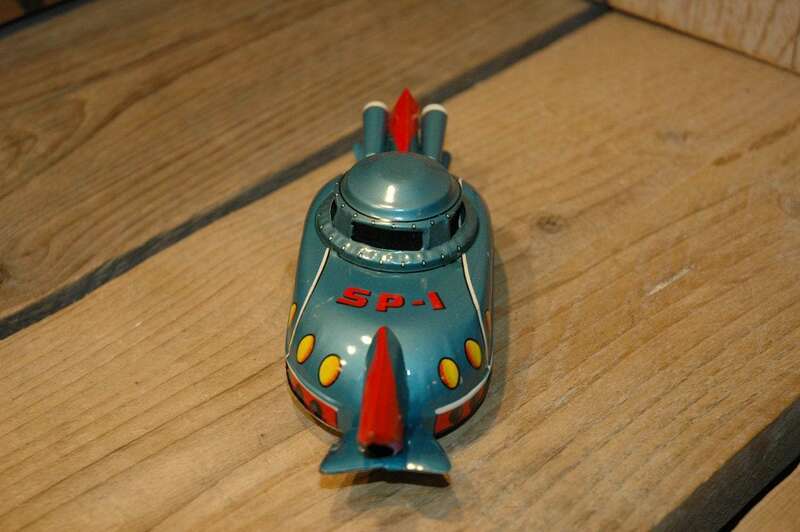 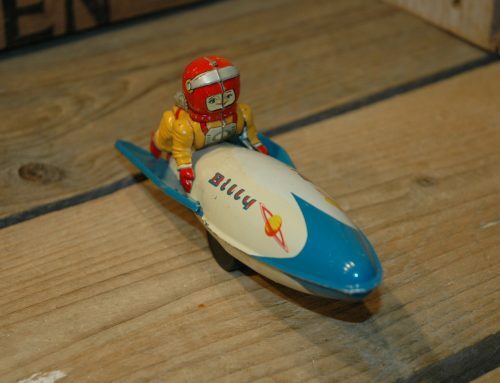 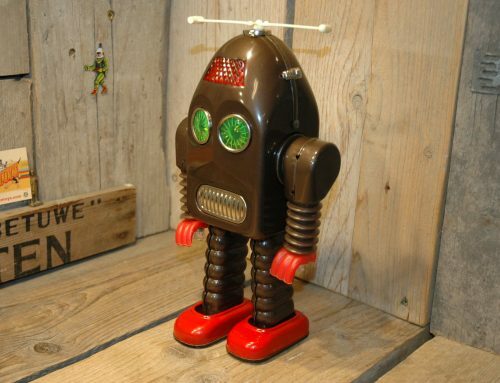 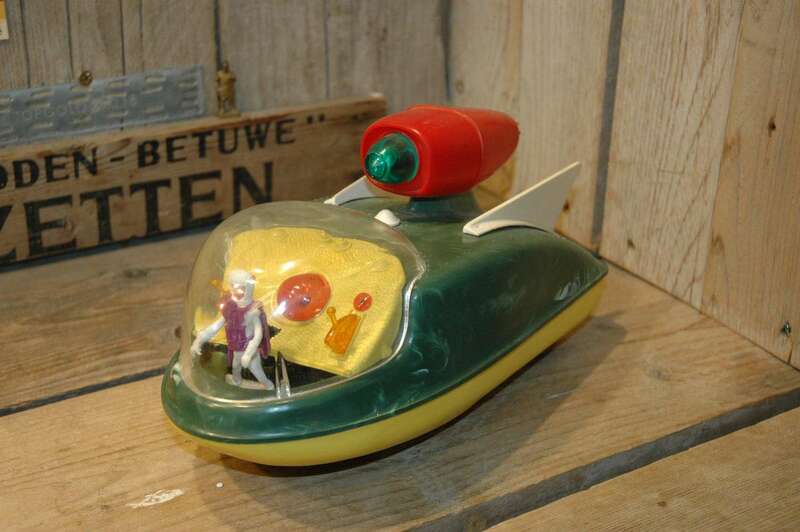 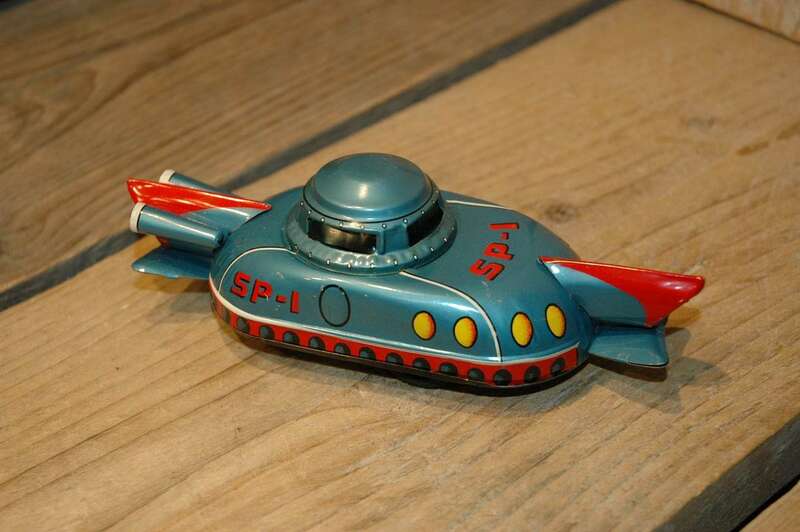 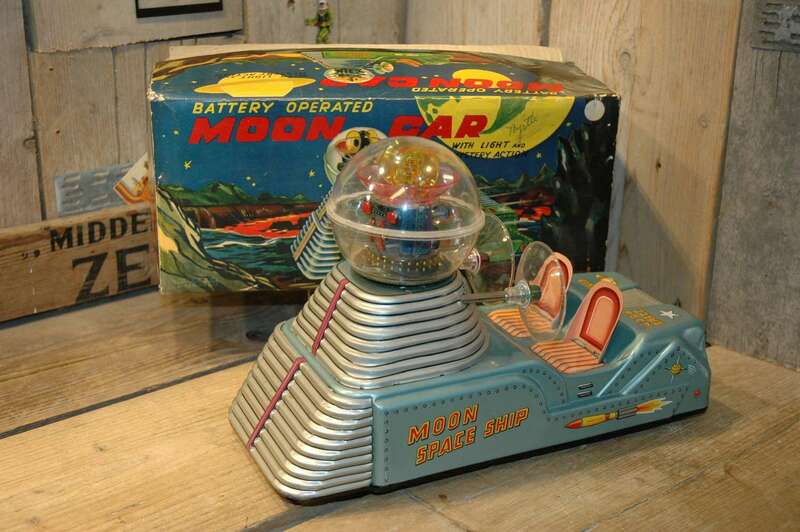 This absolute strange space car was made in Japan in the late fifties by Linemar Toys. 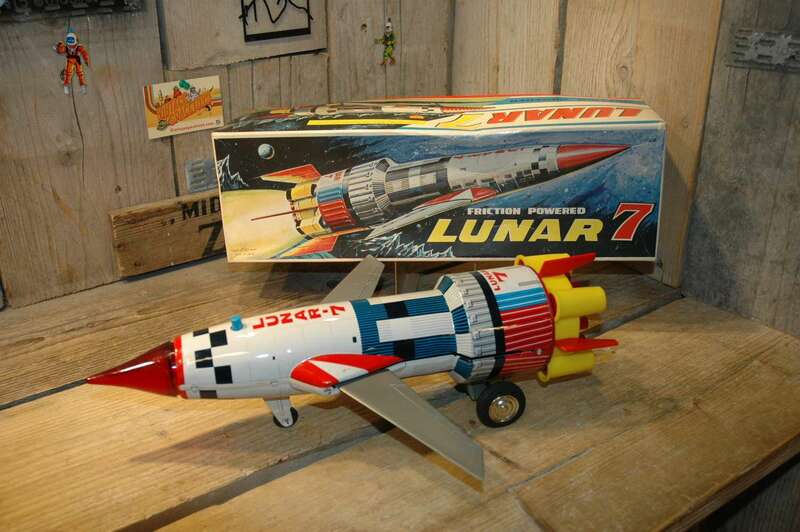 Now, its a toy that you dont see that often around. 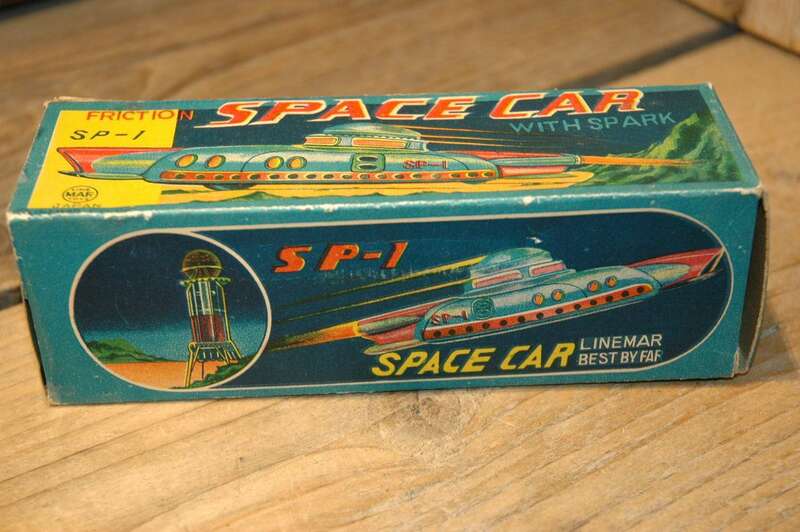 I had it some years ago but not with the box. 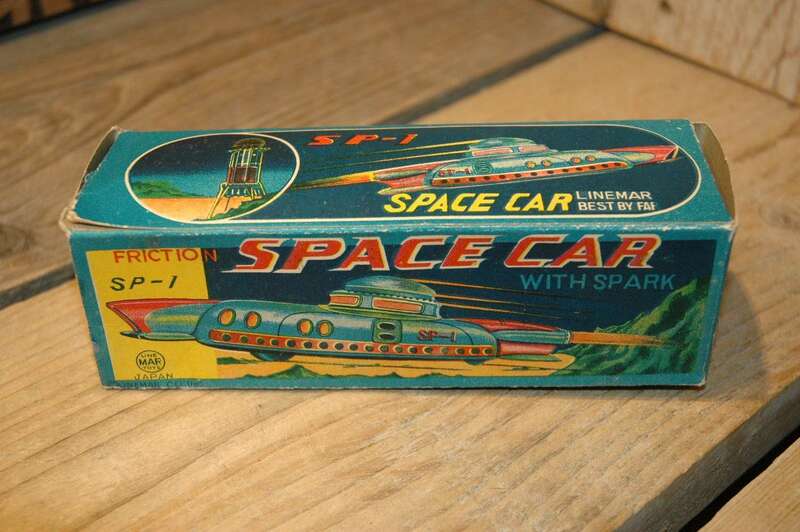 In fact I had never seen the box for this toy until the summer of 2018. 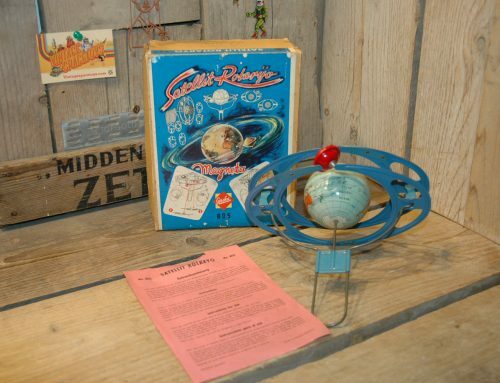 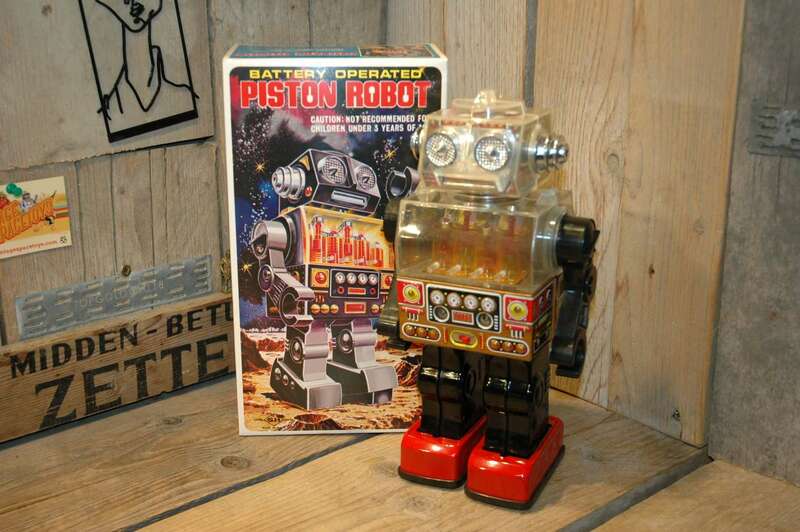 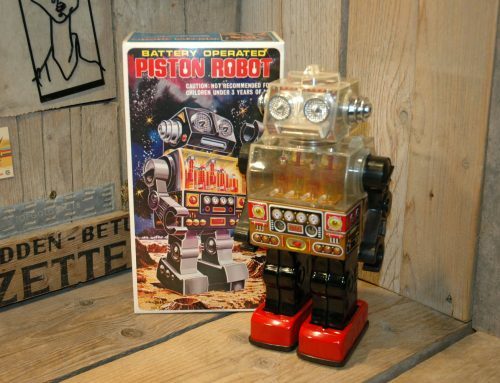 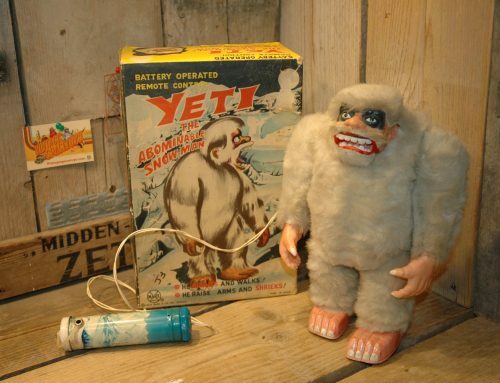 A friend of mine in the USA contacted me if I was interested in this toy. 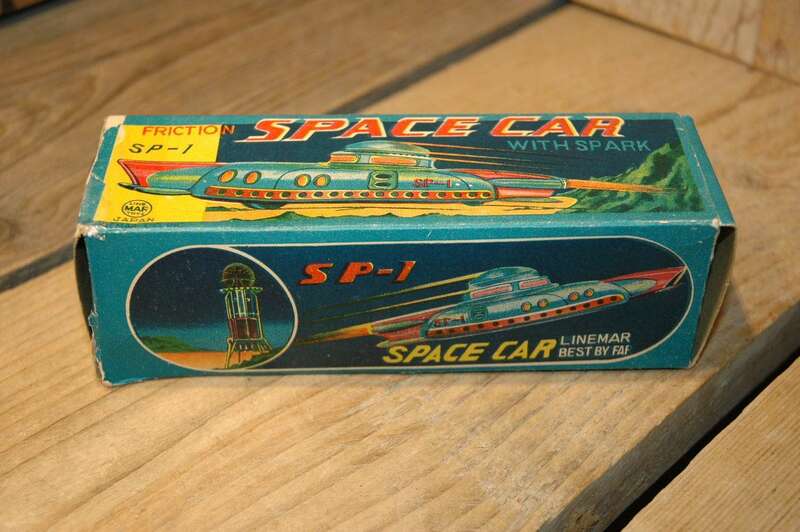 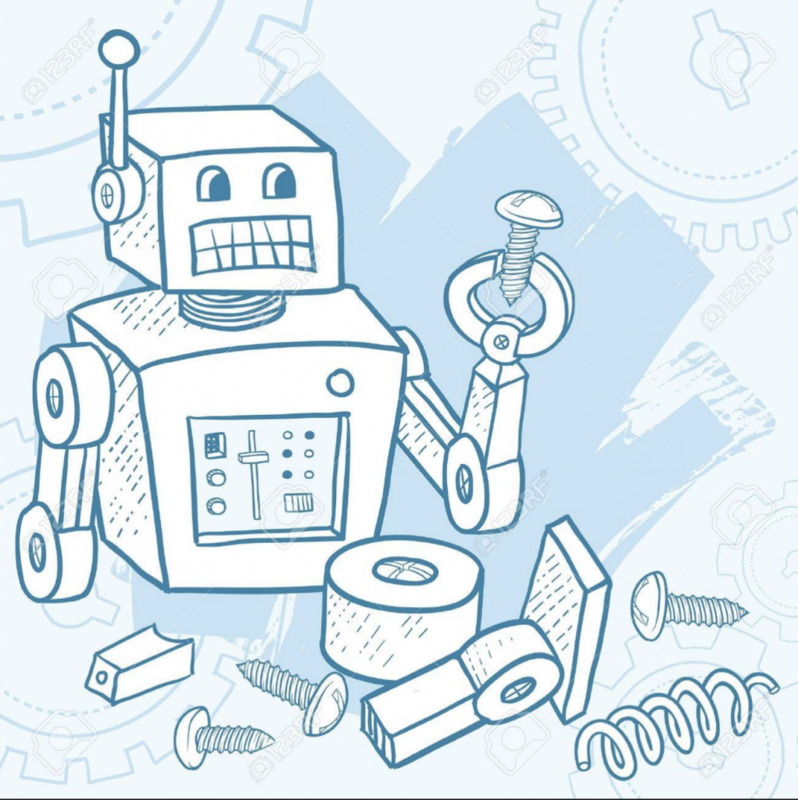 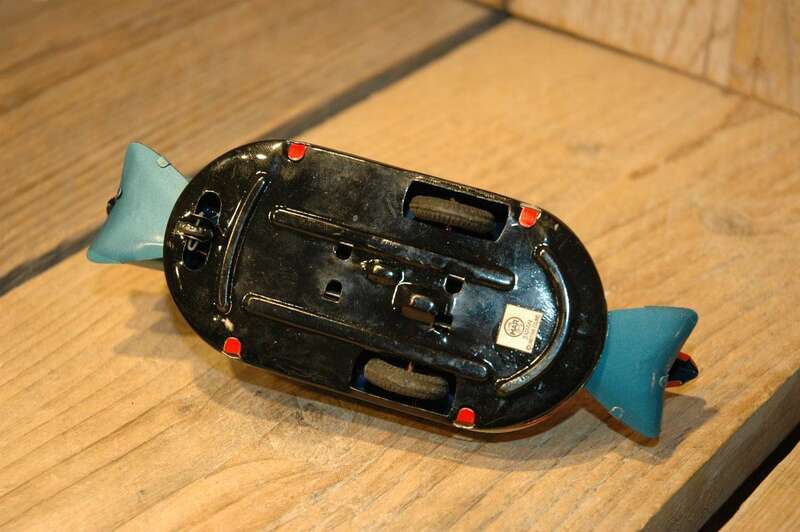 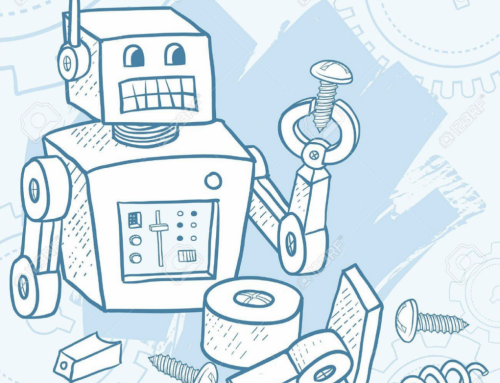 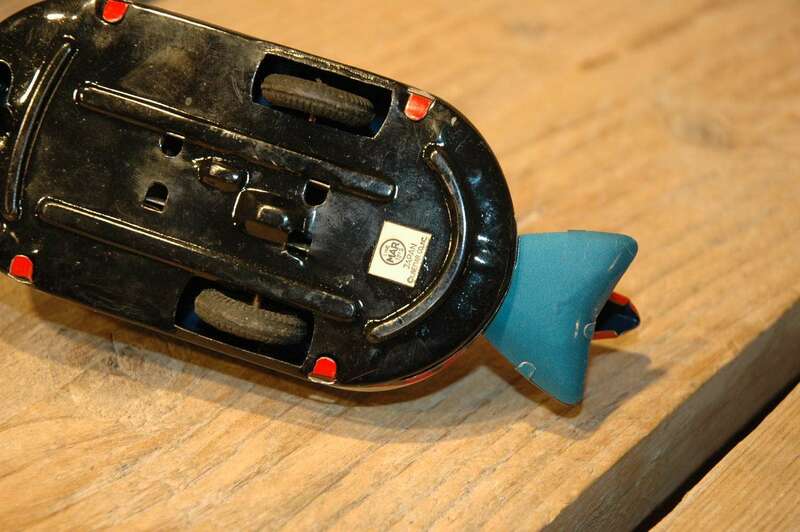 The toy has a friction engine and sparks inside. 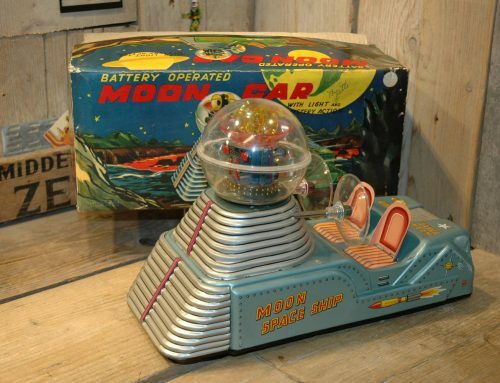 The box is WOW and absolutely completes this fantastic spacetoy. 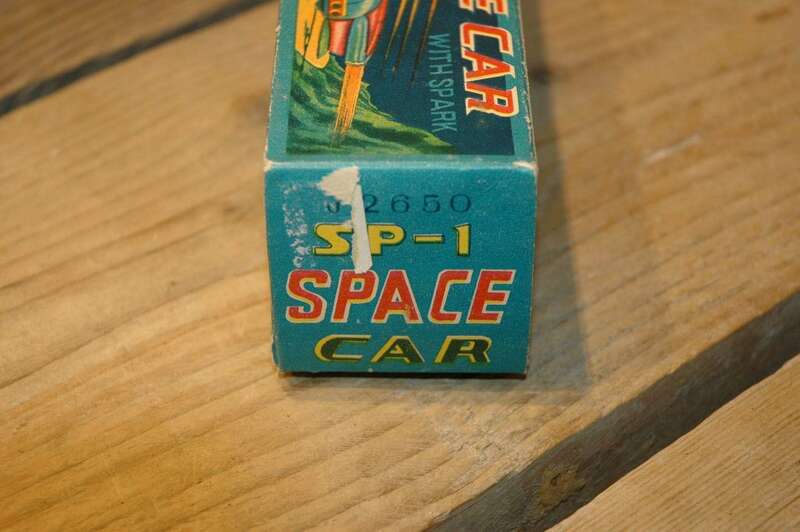 Condition of the toy is near mint and only a few minor scratches are keeping it from higher grading. 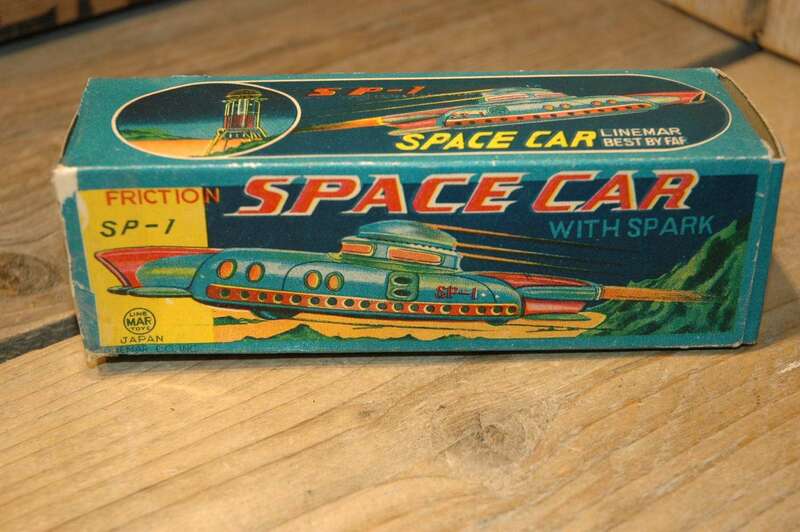 The box is excellent to near mint with a section of clear tape at one edge to keep the flap attached to the rest of the box. 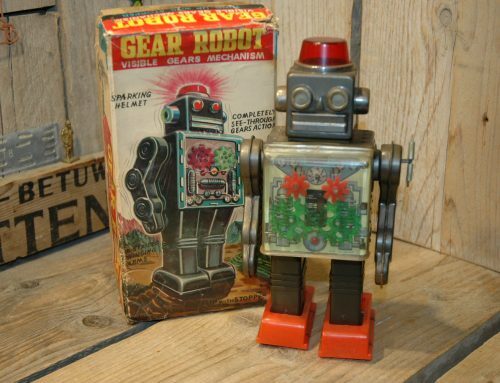 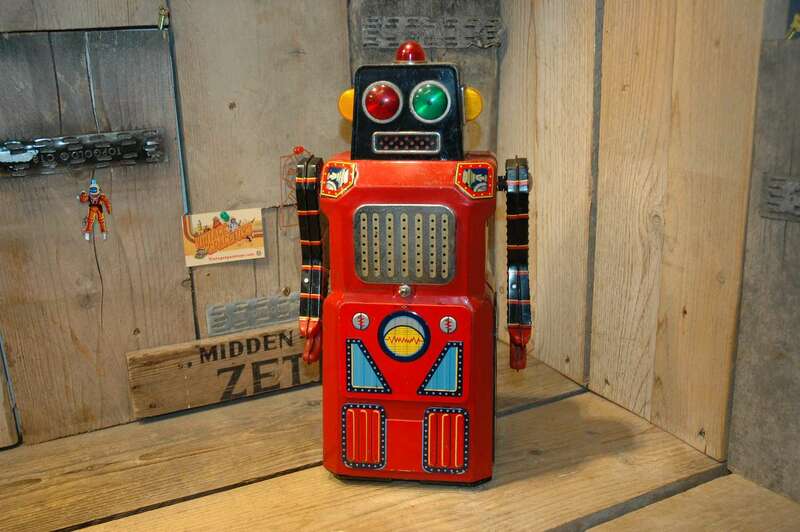 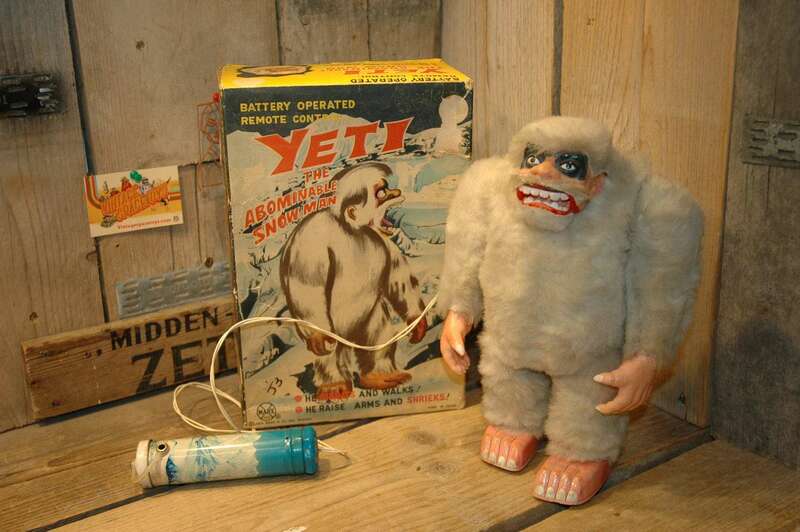 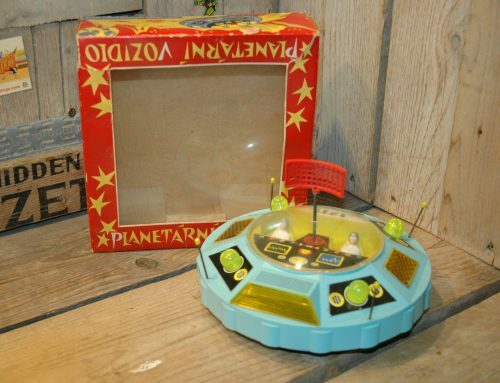 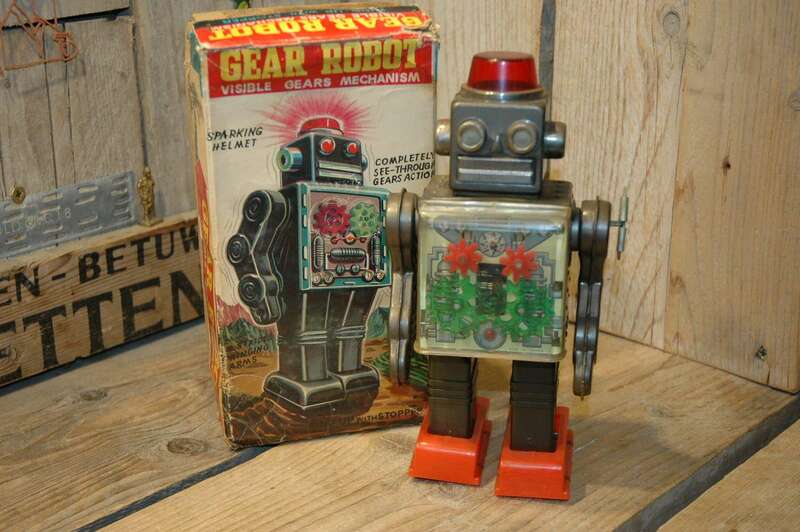 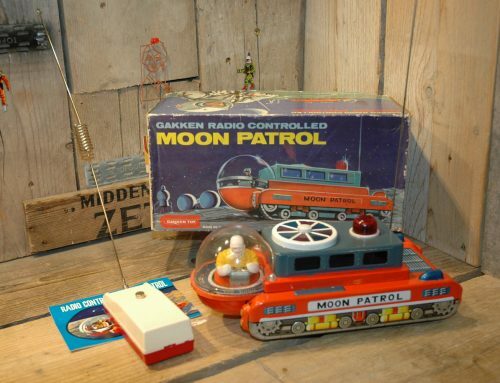 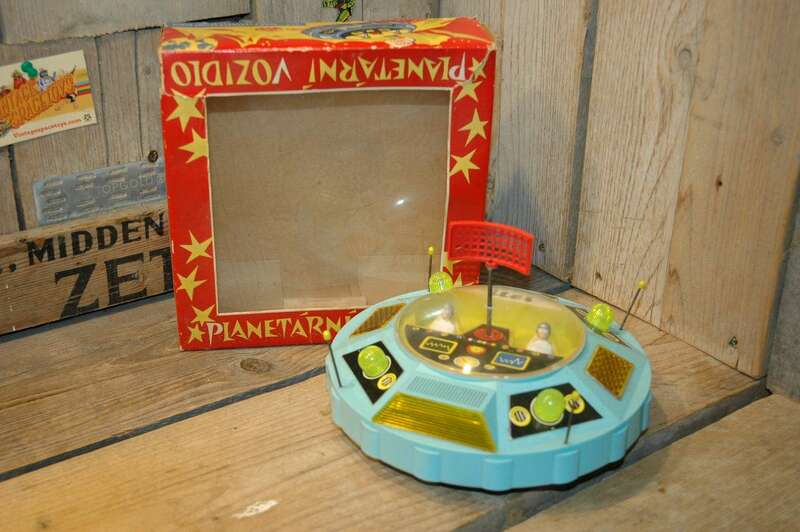 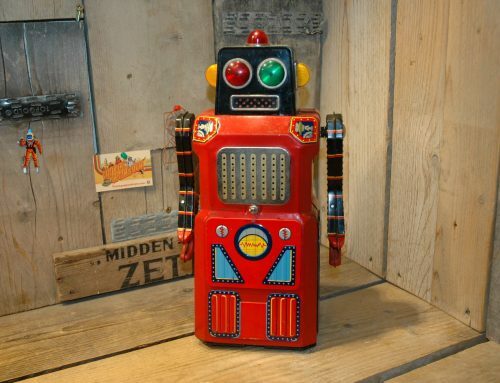 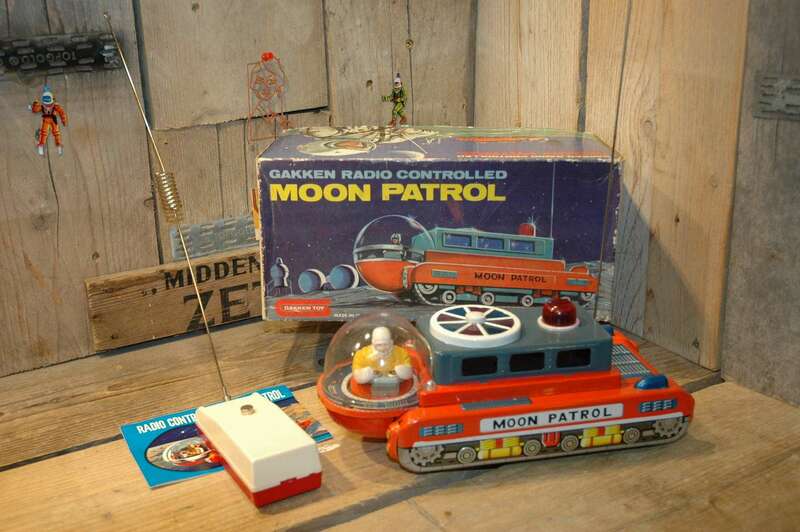 Absolute rare and scarce combination of toy and box !